Don't forget to enter your prostrations on the RigDzin Prostration Counter! On this page you'll find information to support your practice! 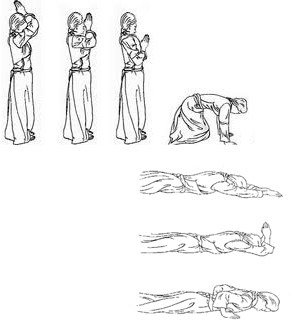 Why do prostrations? They are a show of respect and gratitude to the Three Jewels. Also, the great Patrul Rinpoche described prostrations as the antidote to pride/ego. As H.E. Garchen Rinpoche has said many times, ego and self-clinging are the source of suffering. So to help eliminate suffering in our own lives, in the world, among all sentient beings of all worlds, it is essential that we first eliminate self-clining. Performing the physical prostration purifies accumulated karmas of body. Reciting the refuge prayer while prostrating purifies accumulated karmas of speech. Visualizing the Refuge Tree and taking refuge with faith purifies the mind. Prostrations are refuge. With every prostration we envision all sentient beings before us, each of them taking refuge in the Three Jewels. As H.E. Garchen Rinpoche has said many times, our minds are one. So when we visualize in this way, we truly do benefit all sentient beings infinitely. 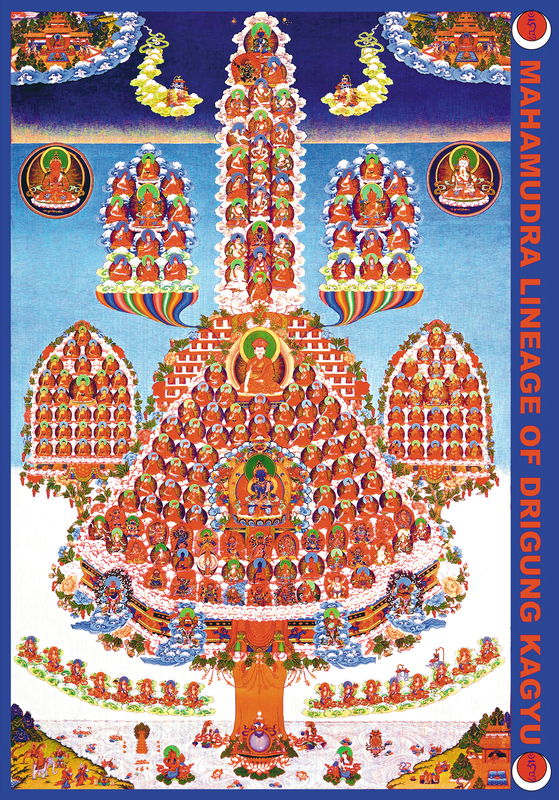 Drikung Kagyu Refuge Tree - A visualization support for your practice (high resolution image). Ven. 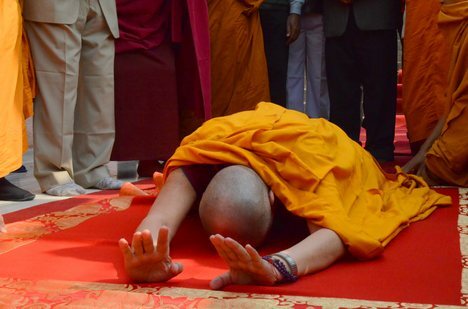 Traga Rinpoche's Pith Teaching - "Each prostration is a complete path to Buddhahood." Excerpt from Patrul Rinpoche's Words of My Perfect Teacher - From chapter one, called"Taking refuge, the foundation stone of all paths." This excerpt includes the great master's description of faith, motivation and visualization for performing refuge prostrations. How many prostrations should I perform? As many as you can, as many as you like! What sort of prostration should I perform? The one you are most physically comfortable doing. The diagrams at left show both a half and full prostration. Read FAQ #5 below, for additional info. Must I be at the RigDzin Center to accumulate prostrations? Oh no. You may accumulate prostrations from home, work, wherever you are and whenever you can! Why are you doing this? This accumulation of prostrations began as a limited-time marathon-style event from Losar, Feb. 11 through Chokhor Duchen on July 12. As many of you know, however, RigDzin Center's founder is Ven. Traga Rinpoche, who is a great teacher and practitioner of prostrations - so we decided to keep on accumulating prostrations! Join us in this wonderful practice! What if I cannot perform a physical prostration? What if I become tired but wish to continue with the practice? H.E. Garchen Rinpoche has always said that the prostration of the mind/heart is by far the most important. If you cannot perform prostrations, or if you need to rest but would still like to practice, then perform prostrations in your heart while visualizing and reciting the refuge prayer. You may also spin a prayer wheel while you do this.Just keep count of your recitations and enter them on the RigDzin Prostration Counter!